Welcome to Aurora, our home stay summer student! Hello Farm has had the wonderful chance to host a summer home stayer from Canada. Aurora is a high school student with an interest in Art and Japanese culture. 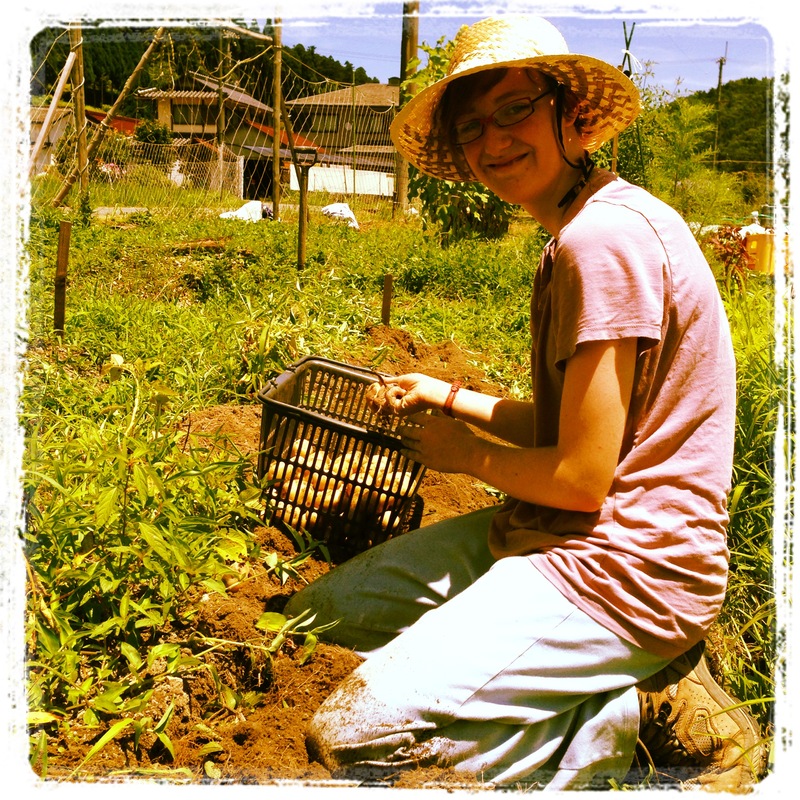 She has been helping out in the garden with weeding, harvesting, saving seeds and planting while here in Kyoto. She has also been learning the Japanese language, how to cook Japanese food, and is taking Taiko drumming lessons from a nearby sensei. She is a star helper! We have 22 varieties of heritage tomatoes to offer our customers this season. 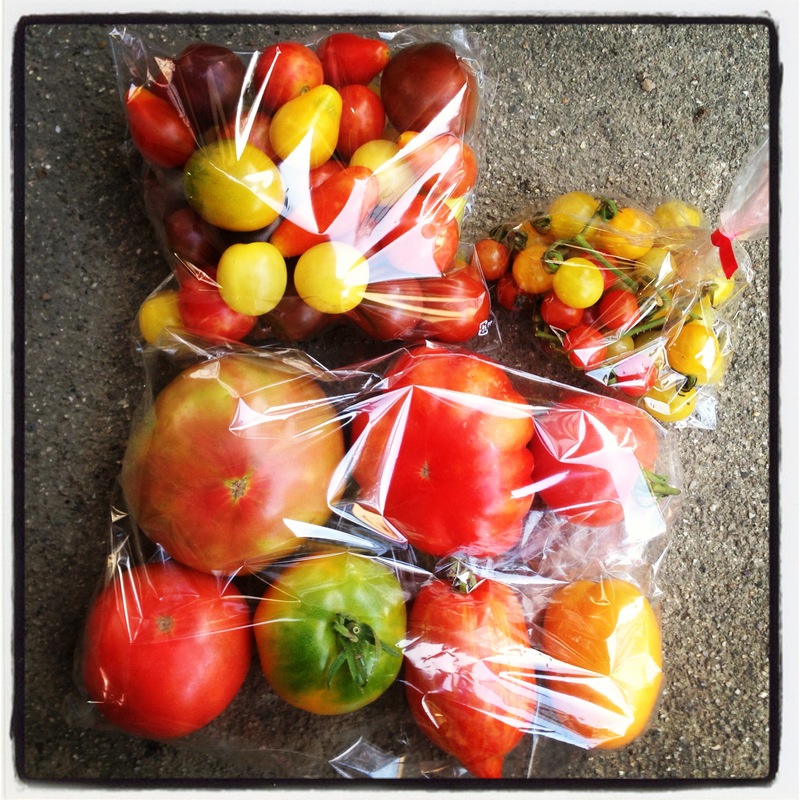 Some restaurants have been enjoying the super sweet micro tomatoes, and the colorful large slicing tomatoes. This is our busiest time of year for harvesting. Today, we harvested over 11 Kg of cucumbers alone! So busy! We are delighted that we have been able to send several shipments of vegetables to Fukushima again this year in response to the need for safe and healthy food since the 2011 nuclear disaster. 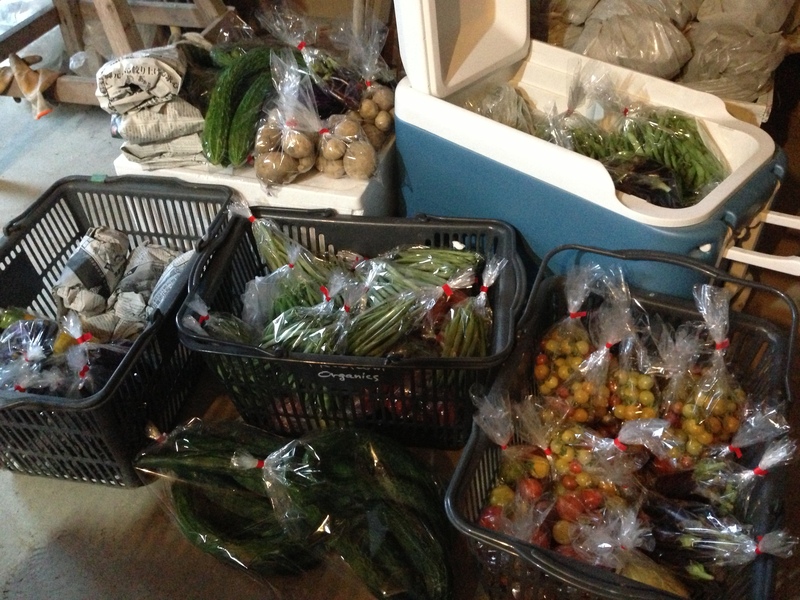 Our most recent delivery included over 20 000Yen of mixed veggies to an orphanage and a kindergarten school lunch program in Fukushima prefecture. We have been able to do this for two consecutive years now because of the generous support of Share The Love Japan. We look forward to our next shipment this weekend.